My friend Sara (a rec therapist) provides personalized jewelry from Keep Collective. 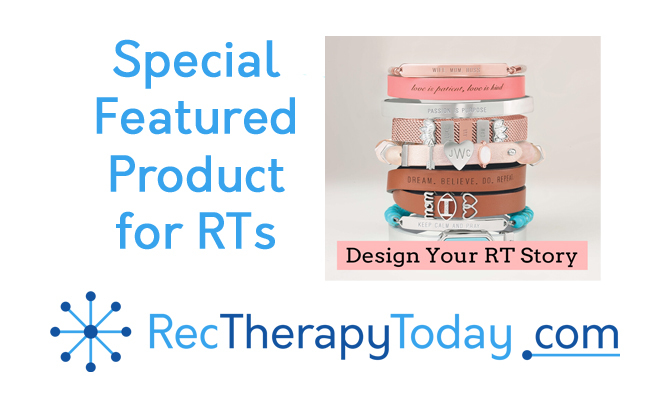 This jewelry is a beautiful way to tell the story of Recreation Therapy. Smile. They are interesting. It would be hard to make something related to Recreational Therapy with all that we do. I know I grew up with specific things because they were what I loved most. It was how I became a Licensed RTA. Me…swimming, biking, & different Art ideas. Have a wonderful day.